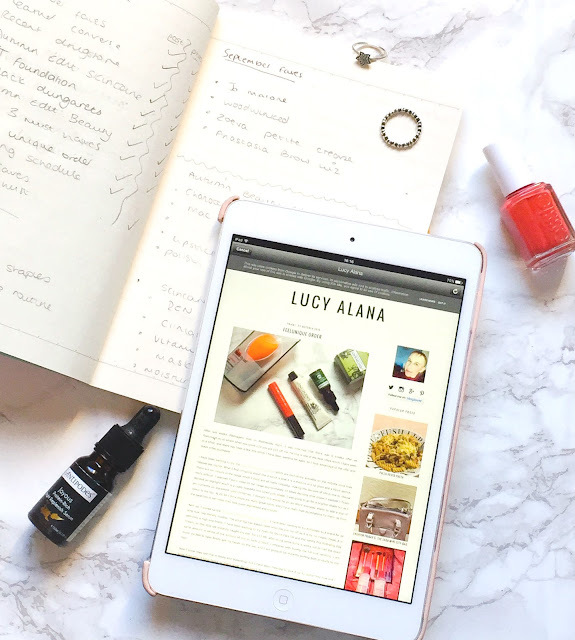 Within the #bbloggers chat on Wednesdays and Sundays, which I have been totally loving joining in recently, I have seen a lot of bloggers asking how people get the right blog/life balance. I think this is very tricky as everyone has so much going on in their individual day to day lives, it can be very easy to take on way too much. 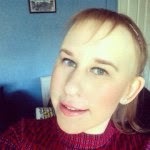 I thought I would put this post together, just letting you know how I have got into a good routine recently which I have really found has taken off the overloaded pressure which I was taking on. Obviously it not going to suit everyone, but even if it gives you just a few tips which you might not have thought of, or you can adapt to suit yourself. I also love reading these posts from other bloggers, to find where I can improve and utilise my time effectively. Now I am not going to lie or exaggerate but I am a busy person at the moment. I am currently in the last year of my degree which is intense as it is. I also work as I get barely anything to live off thanks to the lovely NHS bursary people - no lying £20 a week. But thankfully I have amazing parents who help my out with my funds so I can at least eat, pay petrol and socialise every once and a while. I am also currently on placement as part of my degree which have 12 week blocks of placement, this year I have two weeks off for Christmas in the middle of it. The shifts can vary from long days which are 7am-8pm three times a week, or night shifts 7pm-8am. I could alternatively have a mixture of early shifts 7am-3pm, and late shifts 2pm-10pm which you would do five of in one week. Attending uni is always running alongside placement, along with one chunky assignment every month. I then need to find time to socialise with my friends and take the occasional trip home to see my family. The hardest thing to differently balance is my blog. My blog is really important to me, and for me to have to face taking a few weeks or months off from it is a really daunting thought. It is something which is very personal and I feel very passionate about. Overall, it brings me a lot of happiness and joy, which is why I keep making posts. I did struggle massively last year, with getting into a blogging routine, and I never really did find my niche and that was the problem. Come this September I knew it was definitely time to finally get organised. When I am at uni and not on placement, I always plan to have at least one morning or afternoon of my weekend to take my photos and write my posts. The most important thing for me is to take my photos at the weekend, and to edit and upload them. This way I know that they are all prepared. If I don't manage to get all of my posts written up at the weekend I don't stress. If I finish uni early or I know that one night I will have a few hours free, I schedule that time to finishing preparing and writing the posts. This is harder when I am on placement as I often work nights and weekends. However, planning ahead and taking a few hours of one day to photograph, and a few hours later on in the week to finish writing and finalising posts seems to always work well. Brainstorming is the newest addition to my routine, which sounds crazy but it's true. I previously just went with the flow blogging about what I wanted, when I wanted, which was fine. But after investing in my now life saver of a notebook, I now wonder where it has been all my life. At the start of the month I take a page and put all the dates of the days in which I will be posting on down the left hand side. For me my routine has been Wednesdays, Fridays and Sundays, and I have really been enjoying this formation. This is actually an addition post to last year but with a little bit of organisation it is no extra stress. I then put the name of the post, and a section split into two saying 'post' and 'photos'. I then tick once completed so I know exactly where I am up to, and what is still left to do. I do everything in pencil as I often change my mind, and it makes everything much simpler. This has been an absolute game changer for me, and after a month of this plan I already feel so much more relaxed and in control of where I am up to. I usually brainstorm a lot of ideas at the start of the month, and write a big list of all my ideas. I then fill them in within my notebook of where I think they will work best. I always leave gaps as I know that new ideas will always occur and will need somewhere to fit it. It is really easy if you pencil in your monthly posts, such as favourites and wishlists start away where they belong on your schedule so those dates are taken. For me currently uni is my priority, and blogging is a hobby. At the end of the day, I want a career as a nurse and I haven't spent three years at uni for nothing. Whilst other people have other hobbies and find time for them, I take this same attitude with my blog. I think a lot of bloggers put too much pressure on themselves to always deliver, but everyone is different, and leads different lives and some times it is simply not possible. I like to always be one week ahead knowing that I have one or two posts scheduled, and therefore not having to be stressing myself out about not having a post for the next day. However, if this was to happen at the end of the day it is your blog, and you blog when you want to, and more importantly when you can. You do not want to just put a post up which you are not happy with just so you have fresh content, as it is not a true representation of you and your abilities. Sometimes I also am just not in the mood to blog at all, and I have find that when I feel like this I shouldn't as I am simply forcing myself to write content. A little tip I would say that if you maybe have a few days off from college/uni/placement/work, is to possible try and prepare a bank of posts. I have started to find this super useful, even just start to draft posts and ideas to give you something to work off. Last Sunday, I spent the morning taking photos for four posts, and I managed to write and schedule two there and then. It is definitely about utilising your time. On Sunday mornings, if possible I like I lie in bed catching up on TV and watching YouTube videos for a few hours. But I also use this time to get myself some breakfast, a hot drink, and sit and plan and draft posts. Like I have said I understand, that not many peoples life's will be the same or even similar to mine. I will finish by once again reinforcing, it is your blog, your schedule and your life. What tips do you have for getting your blogs organised?